REM Popular Style Nail Station is a versatile unit suitable for any manicure area. 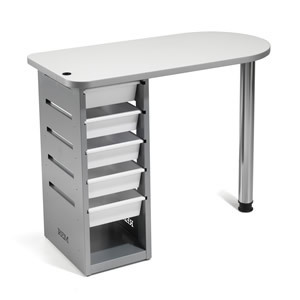 It comes with 5 white pull out drawers and an adjustable chrome leg for uneven floors. The top section is supplied in white as standard.